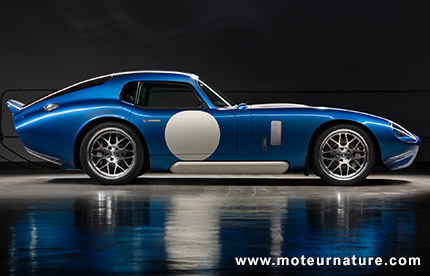 The Shelby Daytona Cobra Coupe was a great car. All the world knows that. It’s legendary too, since only six were built. Those now cost a real fortune, yet it’s pretty easy to get one. Well, a fake one. A replica. They sometimes come as kit cars, but build quality has never been a strong point of any Cobra. Several manufacturers are offering Cobra replicas, with some totally similar to the original one, from the sixties. 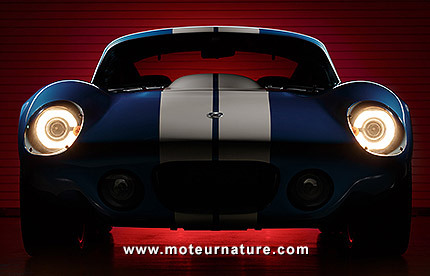 Start-up Renovo Motors chose to do something different. An electric Cobra. HST International already did it in 2008, without much success. 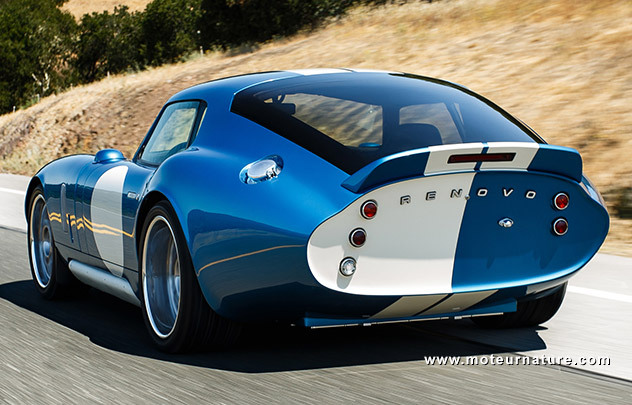 Renovo Motors may be luckier, even if the idea of a silent Cobra isn’t for everybody. 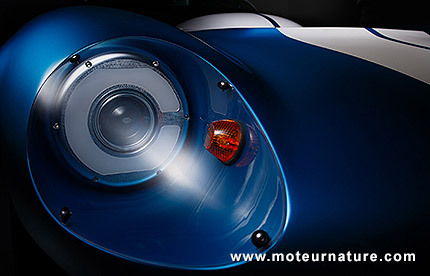 Some people just love the deep sound of a Cobra’s lateral exhausts. 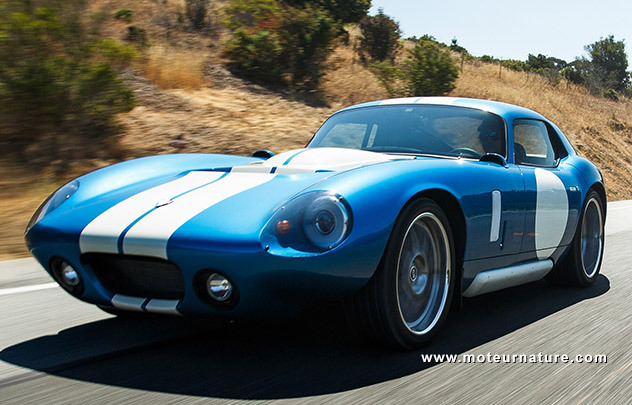 Starting with an ambition, Renovo selected the best possible supplier for the base chassis: Shelby American. In Europe, a well-known manufacturer of Cobra replicas is Dax Rush, ans its cars are affordable, but Cobra bodies from Shelby American must be better, or at least more authentic, because they carry a Caroll Shelby logo. This alone makes them much more expensive than a Dax Rush… Renovo added three battery packs for optimal weight distribution, but total capacity won’t impress anyone at 30 kWh. A Nissan Leaf, the world’s best selling electric car has 24 kWh, while a Tesla Model S offers 85 kWh. This energy is used by two electric motors which send 500-hp (Renovo doesn’t talk about kW) and 1000-lb-ft of torque to the rear wheels. As expected with so much torque, acceleration is incredible. 0 to 60 mph in 3.4 second! But top speed seems ridiculous at 120 mph when the original Shelby Daytona, with a gas engine, some 50 years ago (! ), had been measured at over 180 mph. Range is a modest 100 miles, charging is fast or slow, 30 minutes of 5 hours. 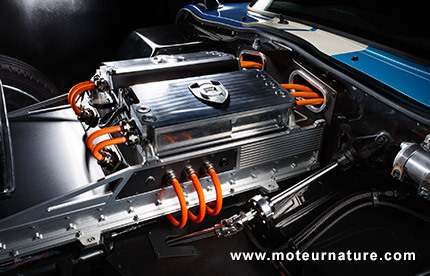 The most interesting is that Renovo chose a very high voltage for both the battery and the motors: 740 volts! The manufacturer explains this is good to get a fast response when the driver accelerates. That sounds correct.